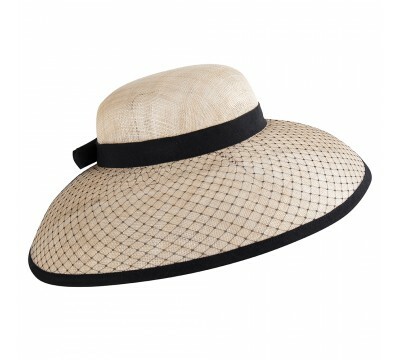 A cute small boater style hat in natural straw. 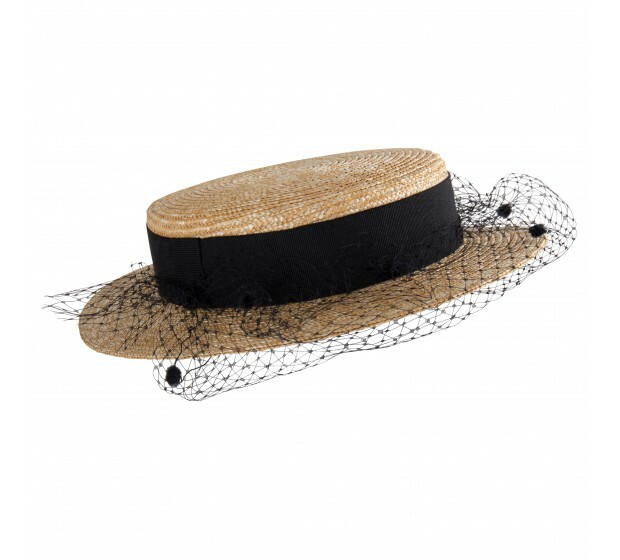 The added black veil makes it a suitable and stylish hat style for Henley's Regatta or a wedding in the Country. Also available with a white veil. Dana - natural A true Audrey Hepburn inspired ceremonial wedding for a grand entrance at a weddin..